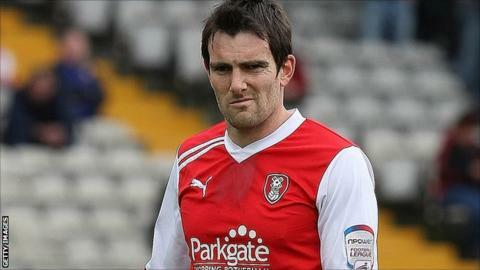 Accrington have signed experienced midfielder Danny Schofield on loan from Rotherham for three months. Schofield made 41 appearances for the Millers last season but has failed to feature at first-team level in 2012-13. The 32-year-old spent a decade with Huddersfield Town and later had spells at Yeovil Town and Millwall. Stanley, who have collected 10 points from their first five league games, will have Schofield in their squad to face Dagenham & Redbridge on Saturday. "I can't wait to get started," he told the club website. "At Rotherham I'm currently in the situation where I'm not going to play under the current manager. This is an ideal opportunity for me to come here and hopefully play some games. I'm thoroughly looking forward to it. "I've played a lot of games at different levels in the Football League so hopefully I can bring some of that experience." Meanwhile, Wigan midfielder Ryan Watson has been recalled from his loan spell at the Crown Ground.